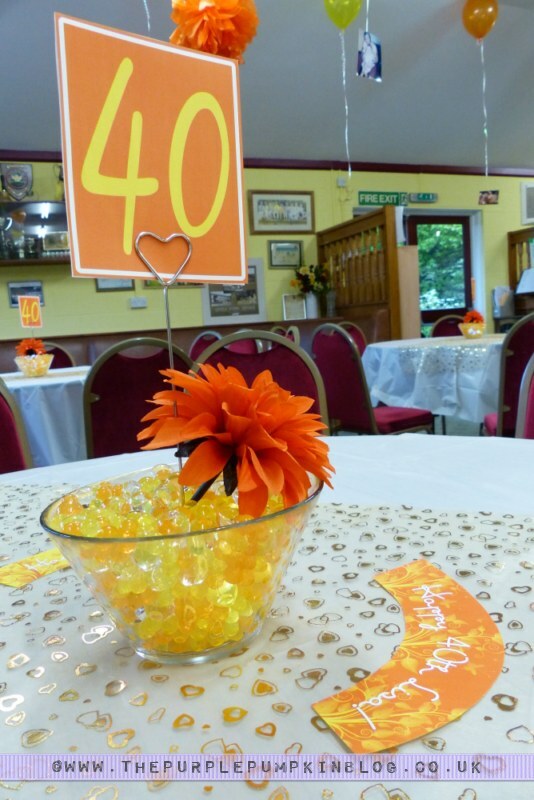 Onto the decorations and table centrepieces for the Orange & Yellow 40th Birthday Party I set up and styled recently. 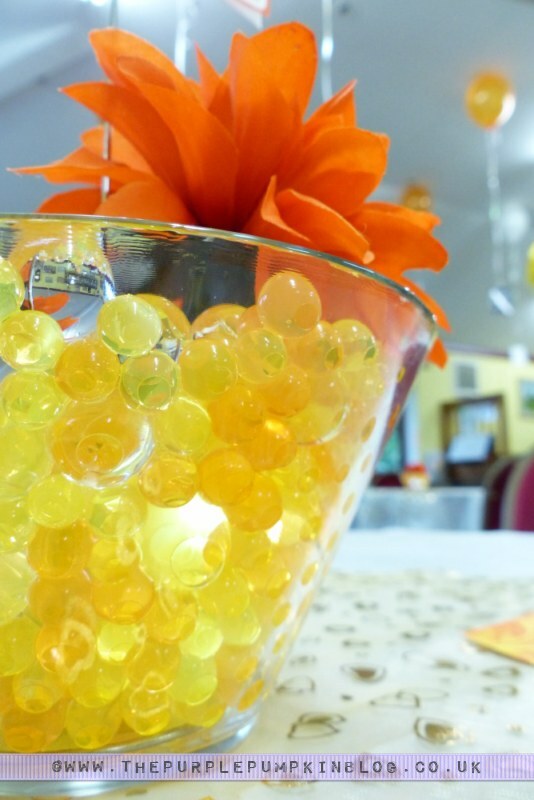 The table centerpieces were bowls filled with orange, yellow and clear aqua gel beads. I love those things – so tiny when you buy them, but swell up with water – awesome! I then placed waterproof LED lights inside each bowl to give a glow when it got dark. As the birthday girl has hayfever, I couldn’t use real flowers, but found these pretty orange silk flowers to use instead. Each bowl had a standee inside with a ’40’ card insert. 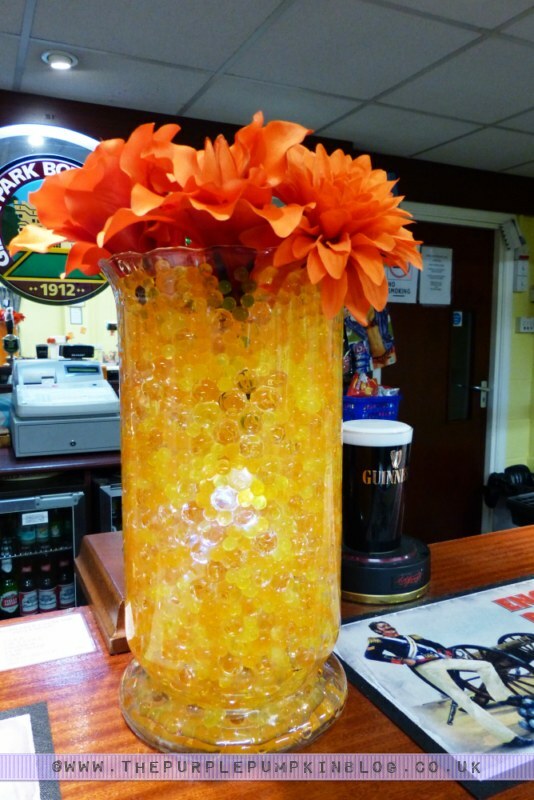 Since I had soooo many gel beads left over, I was able to fill a huge vase with them…I added lights and flowers to make a display for the bar counter. Another decoration I made was giant tissue paper pompoms/rosettes in orange and yellow. 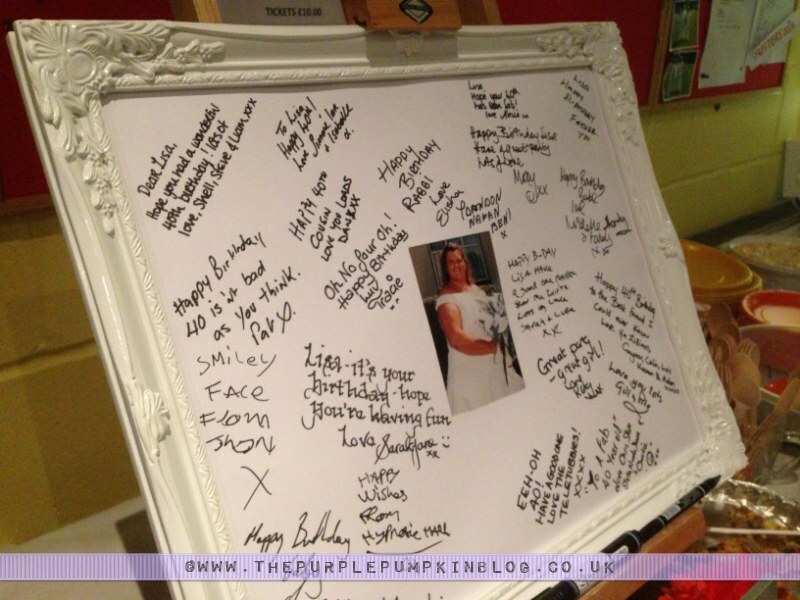 They really are my go-to decoration for parties! Orange & Yellow 40th Birthday Party – Marshmallow Pops	Orange & Yellow 40th Birthday Party Cupcakes!